Donna Christian-Lowe puts her hand to her face as people bow their heads in prayer during an interfaith vigil at Olivet Baptist Church held in remembrance of victims of the July, 16 shootings on Friday, July 17, 2015, in Chattanooga, Tenn. The vigil was held one day after gunman Mohammad Youssef Abdulazeez shot and killed four U.S. Marines and wounded two others and a Chattanooga police officer at the Naval Operational Support Center on Amnicola Highway shortly after firing into the Armed Forces Career Center on Lee Highway. Chattanooga police officers took a "tremendous amount" of gunfire when they confronted Mohammad Youssef Abdulazeez at a military center on Amnicola Highway on Thursday, but officers continued to move forward and shoot back until Abdulazeez was killed in the firefight, according to the FBI. Chattanooga Police Chief Fred Fletcher and others described the gun battle and ongoing investigation in a news conference Friday. Abdulazeez opened fire with at least one AK-47, officials said, killing four U.S. Marines and wounding three others — including a sailor who Chattanooga Mayor Andy Berke said was fighting for his life on Friday evening. The killer shot at a military recruiting center on Lee Highway then sped to the U.S. Naval and Marine Reserve Center on Amnicola Highway, pursued by police. Officers opened fire "shortly after" Abdulazeez arrived at the reserve, Fletcher said. "But he was a moving target and he was able to kill four Marines and wound the others," he said. During the firefight, 17-year Chattanooga police officer Dennis Pedigo went down, shot in the ankle, and other officers dragged him out of the line of fire, Fletcher said. The chief and others commended the officers for their swift response. "Yesterday was a breathtaking example of that everyday courage," Fletcher said. "That everyday bravery that can all too often be taken for granted." Abdulazeez was armed with two rifles and at least one handgun, said Ed Reinhold, special agent in charge of the FBI's Knoxville division. The FBI is heading up the joint investigation. The 24-year-old carried extra ammunition magazines in a vest. He was not wearing body armor. Reinhold said there was no evidence Abdulazeez took his own life. Reinhold would not say how many times Abdulazeez was shot, where he was hit, how long the firefight lasted or how many officers fired their weapons during the encounter. The four Marines died within the reserve, Reinhold said, and Abdulazeez never left the reserve after he entered. A fifth victim, who was injured during the attack, passed away early Saturday morning. The FBI is investigating the attack as an act of terrorism, Reinhold said, and U.S. House Homeland Security Committee Chairman Michael McCaul, on Friday called the attack "ISIS-inspired" after he said he was briefed by the FBI. But Reinhold said the FBI has no indication Abdulazeez was "inspired or directed" by anyone other than himself. The FBI has investigated 70 leads, he said, but it is too early for investigators to say what Abdulazeez's motive was. Fletcher said Abdulazeez expected to meet police. "This gunman had every intent to encounter and to murder police officers if he needed to," he said. 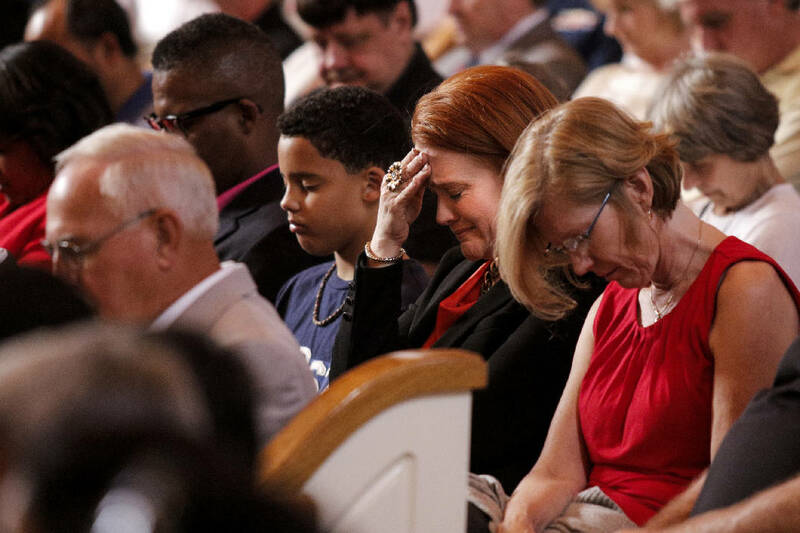 While the national investigation unfolded Friday, Chattanooga gathered to mourn. A crowd of students, community members and veterans gathered in the morning in front of the flagpole at the University of Tennessee at Chattanooga. "It kind of brings you back to 9-11 again to know that people were senselessly gunned down in a place where we should be able to feel the safest," said Robert Barbar, a veteran who served three tours overseas. Crowds came all day long to pay respects at the site of the first shooting on Lee Highway in front of the military recruiting center. They left flowers. They planted American flags in the ground. They saluted, wiped away tears. Parents clung tightly to their children as they knelt and pointed to the bullet holes peppering the windows. "It's scary," said 8-year-old Avah Swigert, standing next to her 10-year-old brother, Landon. "Do y'all want to say a littler prayer?" Avah's grandmother, Patsy Webb, asked. Webb gathered her grandchildren close under her arms and held on. Justin Clark came with his family. When Clark got the call that Gunnery Sgt. Thomas J. Sullivan, a man he knew, was among the dead, he told his 6-year-old daughter, Katelyn, "a bad man shot a lot of innocent people." Katelyn started to cry. Then she got out her crayons and drew a picture. The blue boxes on the paper looked like windows with tiny circles that resembled bullet holes. "I am sorry this happened to people that were innocent people," she wrote under the picture. "These people do not deserve to be shot." "What kind of country do we live in?" Clark asked. "My daughter should be drawing sunshine and rainbows." Hundreds more Chattanoogans gathered Friday night at the historic Olivet Baptist Church downtown to pray and to remind each other that the community will survive. "We are Chattanooga strong. We are Chattanooga strong. We are Chattanooga strong," Paul Smith, the city's public safety coordinator, chanted to the crowd. Pastors from many faiths prayed. "Even though it seems like we're going through our worst time, we believe that you will transform it into our finest hour," prayed Olivet pastor Kevin Adams. "We thank you that the people of God have come together and we will pray like we have never prayed before. Love will always outdo evil." One of the last to speak was a representative from the Islamic Society of Greater Chattanooga. "In the name of the God of Abraham, Moses, Jesus and Mohammad, it is not easy for me to speak after a loss so tragic and so close to him," said Dr. Mohsin Ali. "I'm acutely aware of what life is like when peace is lost," Ali later said. " We are so thankful to call Chattanooga home." Ali went on to condemn the actions of Abdulazeez. This killer shattered the peace in our community, he said. A close friend of Abdulazeez who attended the memorial said the two had spent time praying and fasting this month during Ramadan together. "I never saw any red flags,"said the UTC senior, who asked not to be named for his family's protection. The FBI is examining Abdulazeez's foreign travel, Reinhold said, although he would not discuss what countries Abdulazeez had visited or when. CNN reported that the Jordanian government confirmed Abdulazeez was there in 2014. The official government Kuwait News Agency said Abdulazeez visited Kuwait from May 31, 2010, to June 18, 2010, and that he then continued to Jordan. Kuwait officials also disputed reports that Abdulazeez is of "Kuwaiti origin." Abdulazeez, who held an engineering degree from UTC, has lived in Chattanooga for years and worked at a Franklin, Tenn., facility for Superior Essex Inc. for three months, according to a letter sent to company employees by its chief executive. Police conducted a sweep of the Franklin facilities and found no safety issues, said CEO Brian Kim. In 2013, Abdulazeez was conditionally hired as an engineer at the Perry nuclear power plant near Cleveland, Ohio. He spent 10 days there before he was let go in May 2013 because he failed a background check, said Todd Schneider, a FirstEnergy Corp. spokesman. Schneider would not say why, but did say Abdulazeez never had access to the nuclear reactor. The intense scrutiny also has revealed new details about Abdulhazeez's family, who own a home in Hixson. In a February 2009 divorce complaint filed in Hamilton County Chancery Court, Rasmia Ibrahim Abdulazeez alleged that Abdulazeez's father, her husband, beat and verbally abused his wife in front of his children. Rasmia Abdulazeez said her husband kept all the money, giving her no chance to find her own home. She asked for custody of the couple's five children. They had been married for 28 years at that point. She also alleged he told her he was going to take a second wife, "as permitted under certain circumstances under Islamic law." The lawsuit was dismissed later that month, after Youssuf Abdulazeez agreed to sign a postnuptial agreement. Jason Falls, a former high school classmate of Abdulazeez's, said he knew the family and that Abdulazeez's father was strict. "I remember him being very, very strict from the few dealings I had with him," Falls said. "[His wife] wasn't allowed to speak up. He was to do all the talking." The elder Abdulazeez also filed for Chapter 7 bankruptcy in November 2002, according to records from U.S. Bankruptcy Court in Chattanooga. The case was closed in August 2005. Staff writers Andy Sher, Tyler Jett, Tim Omarzu and Mike Pare contributed to this report. The Associated Press contributed to this report. This story was updated at 10:40 a.m. on July 18.